Frank was a Summer 1995 baby and it was a difficult decision as to what to keep from the litter, in the end we kept two. 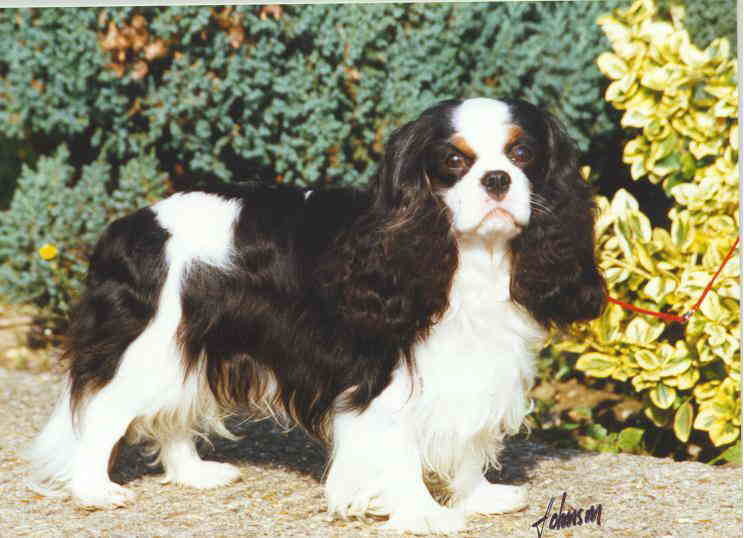 Frank qualified for the following years Crufts at his first Championship Show ~ Manchester 1996 with 2nd in Minor Puppy. He was also 2nd in Junior at East of England and 3rd in Junior at Leeds. Altogether placed 9 out of 12 times in Championship Shows that year. 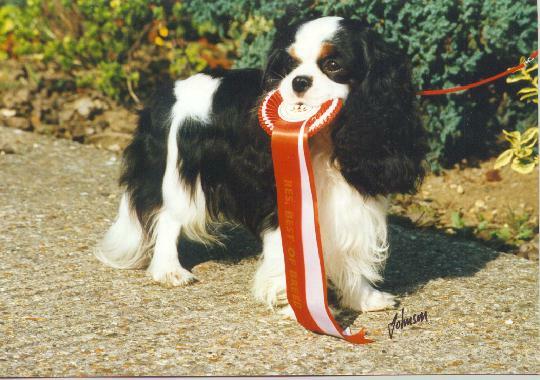 A VHC at Crufts 1997 and a Reserve Best of Breed at Hitchin Open Show the same year. 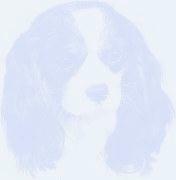 Frank's photo now appears in a Cavalier Book by Juliette Cunliffe. 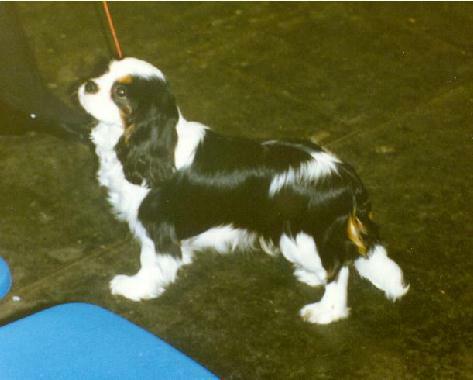 1999 saw further Reserve Best of Breed awards at Sleaford and District Open show and a VHC placing in Limit Dog at South and West Wales CKCS Club Championship Show. Frank then enjoyed retirement with us.